DiggyVerse - Crafted by DiggyWig: Sneak Peek - Ocean's Alive! 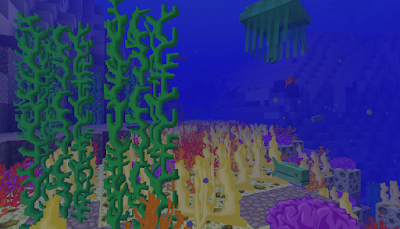 You'll find colourful coral reefs, two varieties of seaweed that grow and can be farmed at different ocean depths, and three new mob types, Fish, Big Fish and Jellyfish, which each have several sub-types. Both types of fish are harmless but be cautious of getting too close to the Jellyfish! 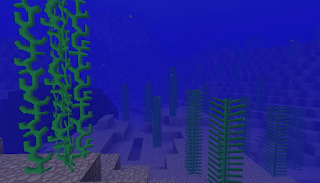 What's more to make underwater building and exploration easier I've added a new use for the Slender Pearl... it can now be crafted into an Atlantean Pearl. 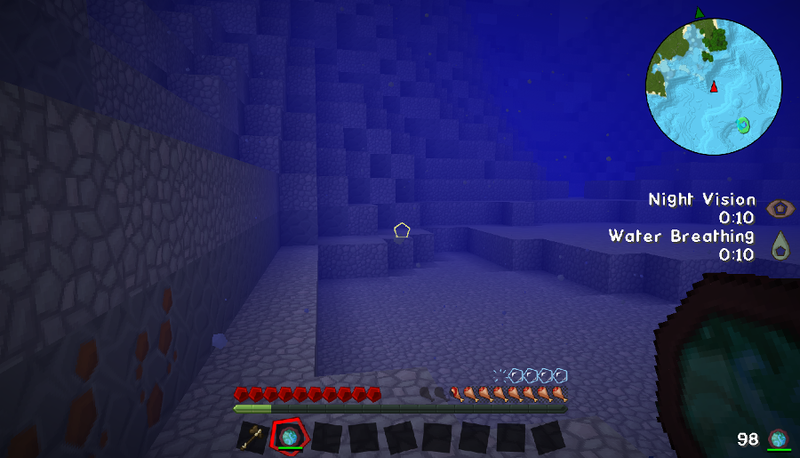 When you are underwater and the Atlantean Pearl is on your hotbar (you don't have to actually hold it) you get both both Night Vision and Water Breathing potion effects! 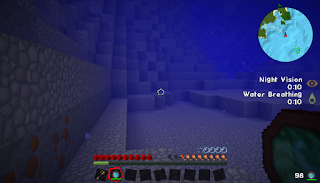 The Atlantean Pearl does randomly take damage and will eventually deplete but it is never destroyed, it can be recharged in a Crafting Table using a combination of Seaweed and Shells. 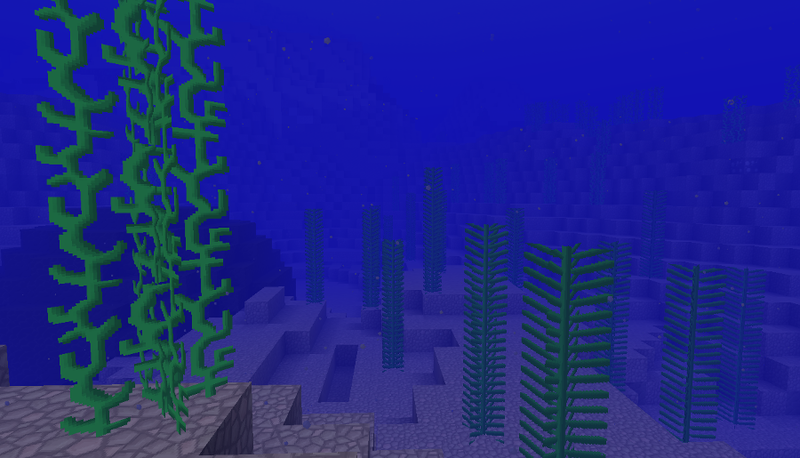 Shells can be found in Beach biomes, and can also be farmed as they spread naturally along Beaches. Seaweed also has a shorter relative, Pondweed, which can be found in rivers and other inland bodies of water which are at least two blocks deep.